Bread has long been known as the staff of life, and for thousands of years it has formed the staple diet of millions of people throughout the world. The majority of the Bread we eat is made from ground Wheat, which is the seed head containing a high proportion of starch and protein. Wheat is an incredibly versatile grain and can be used in a huge number of ways to make everything from breakfast cereals to pizza, and properly stored wheat can last for many years. For example; wheat (Kamut seeds) discovered in the Egyptian Pyramids and excavated bakeries was found to be edible even after the passing of Millenia. Storing Wheat for the long term is an excellent idea for anyone serious about preparedness. The biggest enemy of wheat are weevils - A weevil infestation will completely devour and ruin a stock of wheat. However, weevils may be killed by freezing so you could put your sealed container of Grain into a chest freezer for a couple of days, which should eradicate them. Another option is to remove the oxygen form the container (Weevils cannot survive without Oxygen). 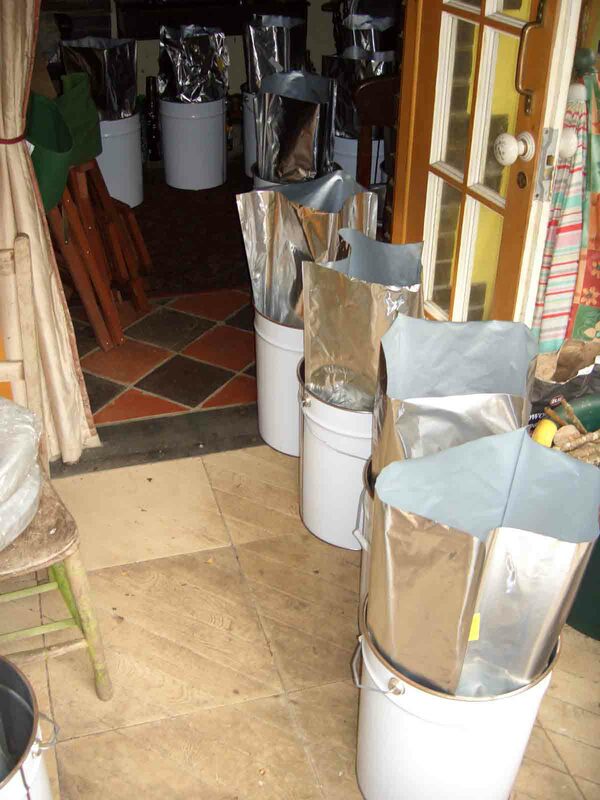 You will require enough containers with airtight lids for all your wheat. 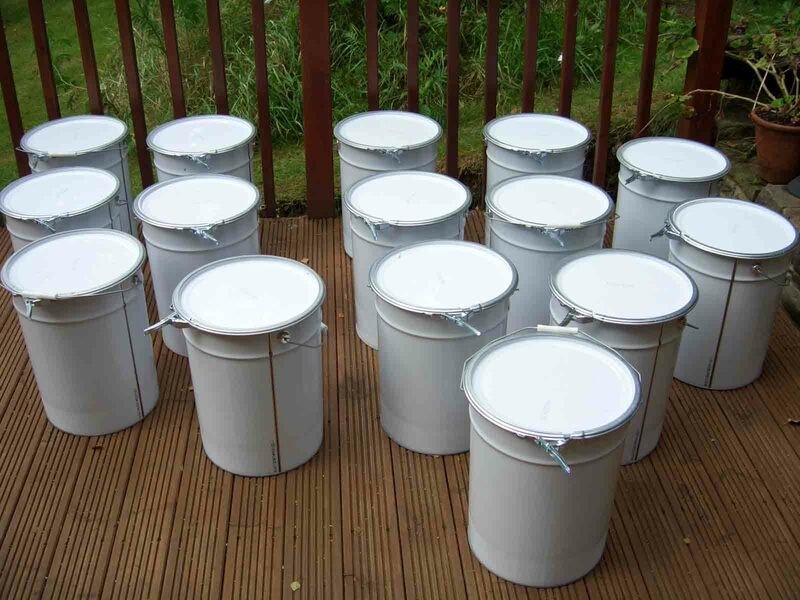 The containers used in this experiment, were metal 20 litre drums with locking lids, plastic containers are also good. 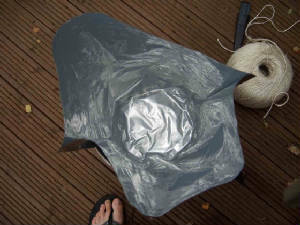 You will also require food grade plastic bags or Mylar bags which must be big enough to line the inside of the drums, as well as Dry Ice Pellets and Silica Gel (Dessicant Sachets). 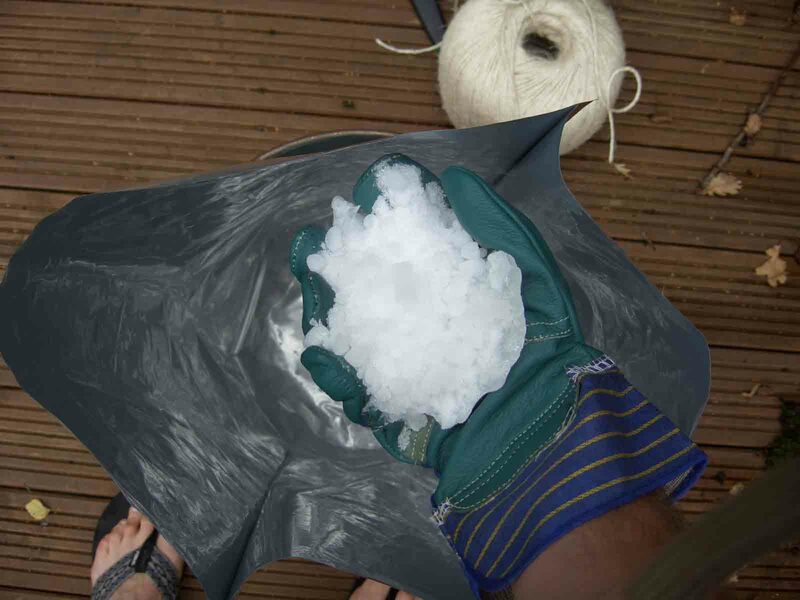 Next, (wearing Gloves) place a hand full of dry ice pellets into the bottom of the bag and cover with a sheet of paper. Carefully pour the Wheat into the bag all the way to the top. 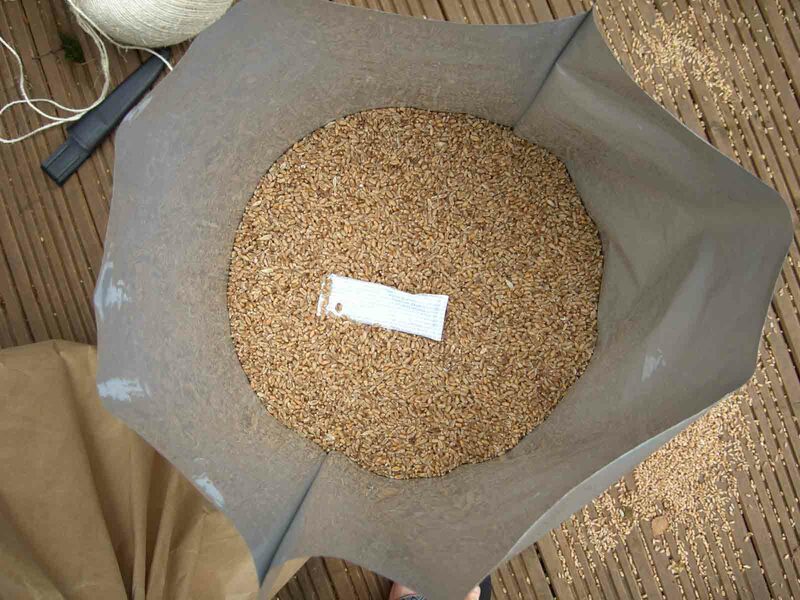 Put a sachet of Silica Gel on the top of the wheat and tuck the top of the bag into the side of the drum. Don't do this too tightly because the Carbon Dioxide sublimating from the dry ice will cause the container to burst. Place the lid into position but don't seal it completely yet. As the dry ice sublimates it produces vast quantities of Carbon Dioxide, which will force most of the oxygen out of the container. You will see a layer of frost forming on the bottom of the drum while the dry ice dissolves. After several hours this frost will melt showing that the dry ice is completely sublimated, you can then seal the lid.